I received this email today from BASS and thought it worth sharing with readers. The species is at a crucial point in its decline. Anglers have been warning for 50 years that too many bass have been killed and still the politicians have allowed the situation to deteriorate to the present awful stock levels. The more anglers speak up the better the chance of real success in limiting catches to a level that will allow the species to recover. It would be great if you could find the time to email European and British fishery ministers and civil servants as BASS suggest. I have already done so. Kind regards and thanks for reading this. EU Consultation: Fish Sea Bass Sustainably. 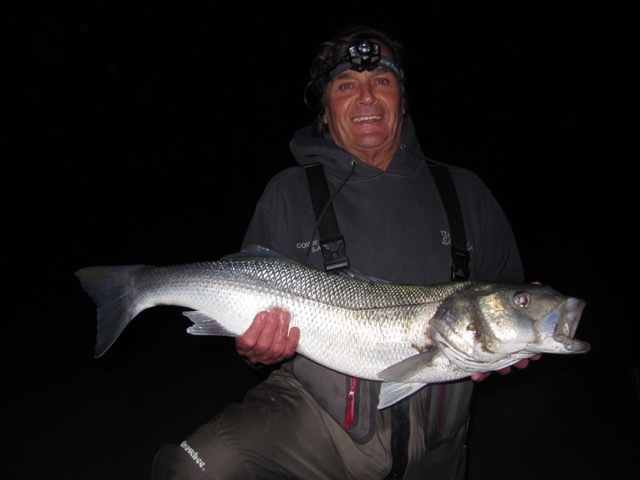 Latest ICES Sea Bass assessment shows spawning stock at an all time low. We have some important news for you. On 30 June, ICES issued a new bass assessment. It warns that the bass spawning stock is now at an all-time low and that there is now a risk that the stock’s ability to regenerate itself is compromised. ICES have therefore recommended a full moratorium for 2017. 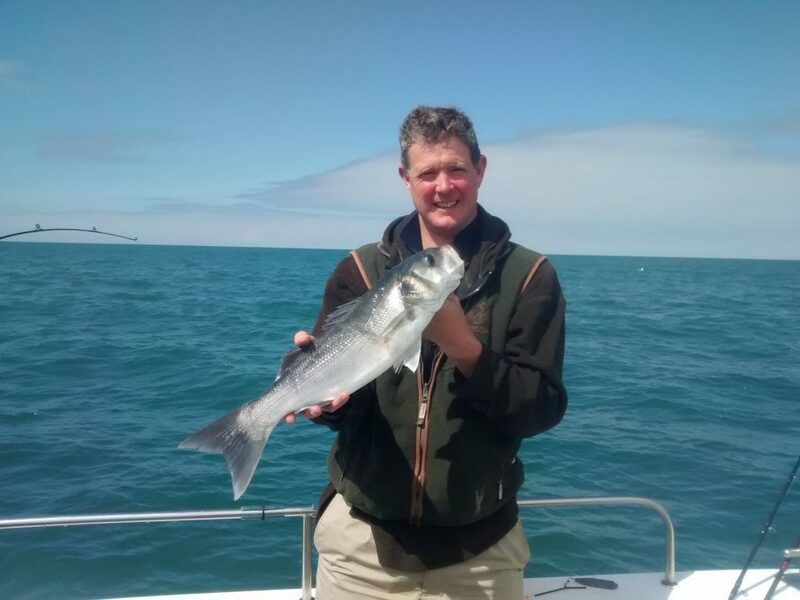 We have previously advised the Fisheries politicians and managers that we should restrict the bass fishery to sustainable fishing only: recreational angling and commercial hook and line fishing (excluding long-lines). This advice was not followed and, predictably, the stock is now in deep trouble and so a moratorium is needed. We are concerned that, even now, the Fisheries politicians may give in to commercial lobbying pressure to allow unsustainable commercial bass fishing to continue. We therefore need to send a strong and clear message to the Fisheries politicians and managers, telling them that their existing policy has failed and that from now on we want the bass fishery managed so as to deliver the greatest long term benefits to society, and that means restricting it to sustainable fishing only. We hope that a moratorium will create some breathing space for the bass stock to recover. But if it does, will we just see the fishery re-opened to unsustainable commercial fishing, so that the destruction of the stock can start over again? We must not let that happen. 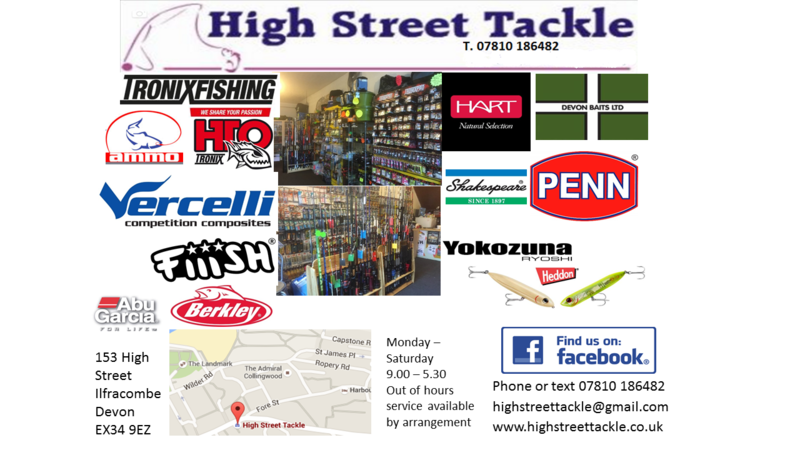 You will see that we have just completely updated the Save Our Sea Bass website. We have also started a brand new campaign to email the Fisheries politicians and managers now that they are digesting the ICES advice and are considering how to react. We would ask you to support this email campaign by sending an email and encouraging members of your family and friends to send an email too. 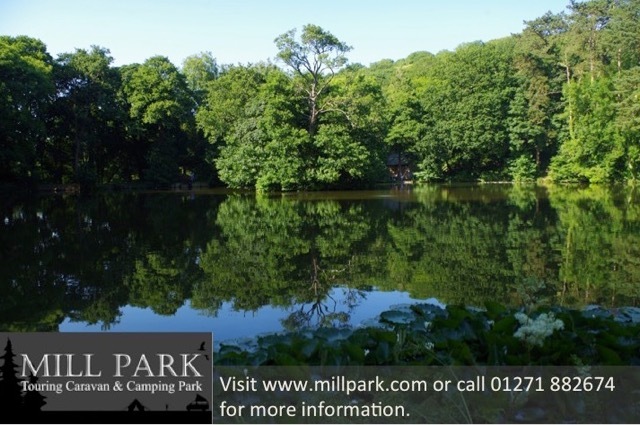 If you can help to promote the email campaign via social media too, that would be fantastic. And finally, a special word for our French Subscribers and comrades in arms! We understand that your Fisheries Minister, Alain Vidalies, is only interested in supporting the commercial bass fishermen and has no interest in listening to what French anglers or conservationists want. However, he cannot act alone, he has to make his case on bass to other EU Member States and the EU Commission. 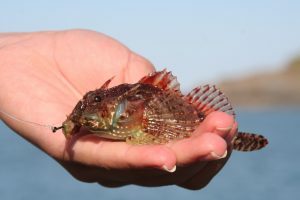 The more French people send emails objecting to unsustainable commercial bass fishing, the more difficult it becomes for Vidalies to sustain his argument – the other EU Member States in the negotiation will be able to tell him that he is not properly representing the wishes of the people of France. We urge you to take part in the new email campaign and to spread the message widely across France. Best wishes from the Save Our Sea Bass team. 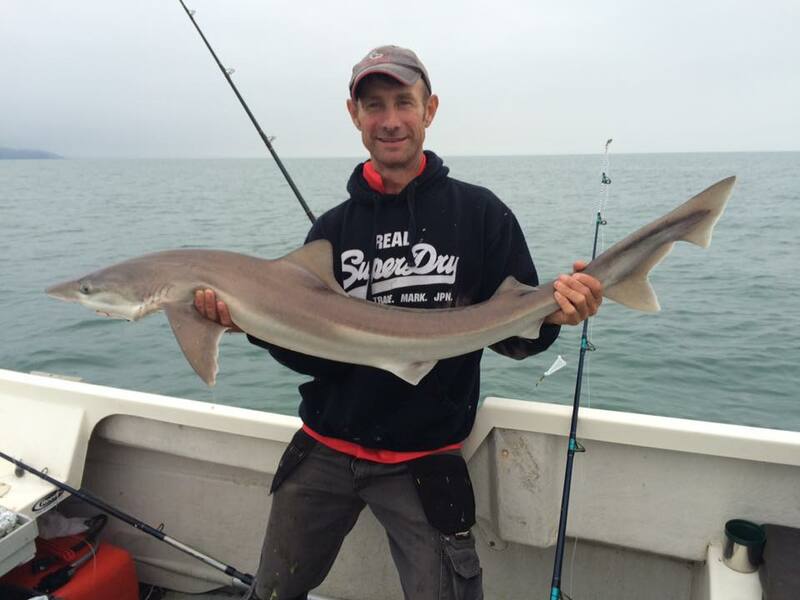 Tarrant Wotton secured first and second prizes in Bideford;s Fishing Festival with fine specimen smoothound scaling 13lb 3oz and 13lb 21/2oz. In third was Nathan Clements with a thick lipped grey mullet of 4lb 101/4oz and in forth Antony Smith with a conger of 21lb 5oz. Thirty seniors fished the event and two juniors. 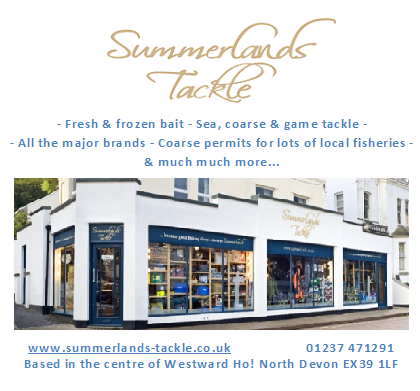 This is the second year that Taz has secured top spot in Bideford;s popular fishing festival proving that he is undoubtedly one of North Devon’s top sea anglers. 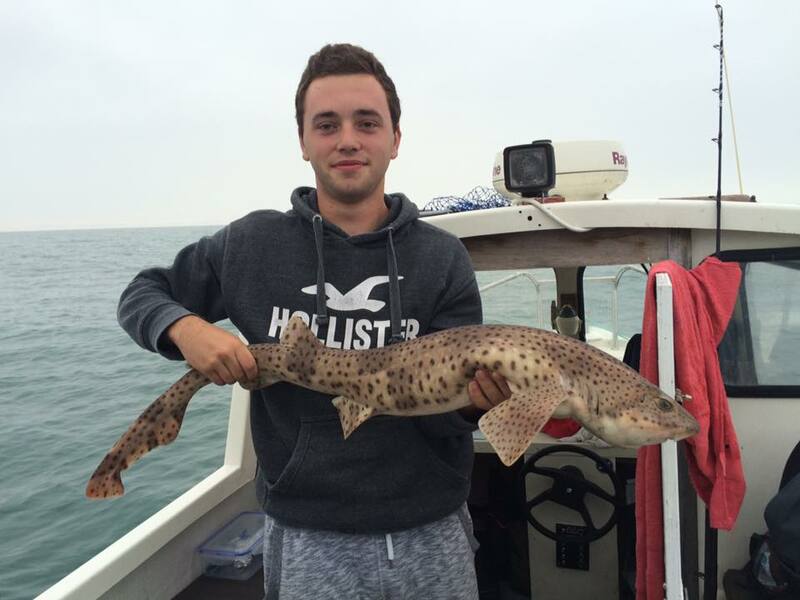 Stefan Jones, Matthew Druce and Sam Longhurst enjoyed a successful boat trip off the North Devon coast with Sam a newcomer to angling landing his first ever bull huss. The trio enjoyed a great day afloat landing around twenty tope to 25lb, numerous huss and a few conger. All the fish were tempted using frozen Ammo mackerel. The day was made extra special in the presence of dolphins, porpoises and gannets. 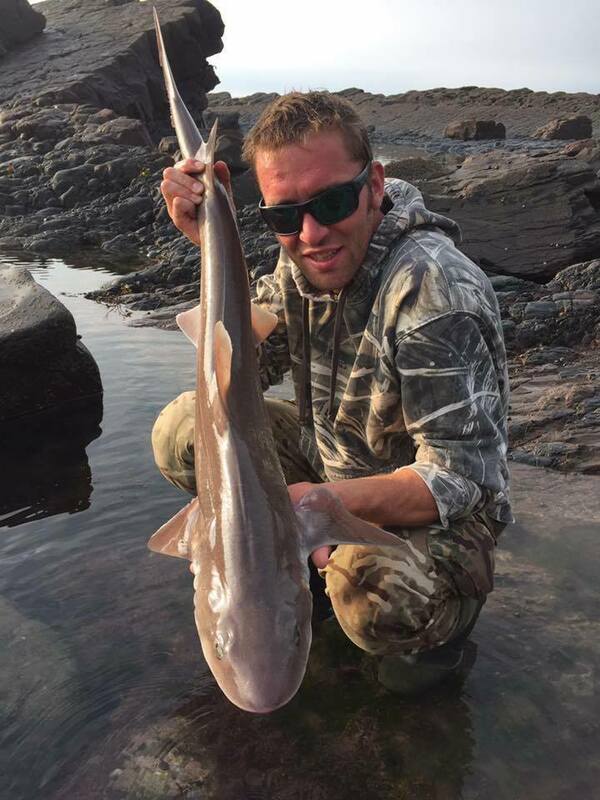 When the weather permits private boat anglers are enjoying some fine sport off the North Devon Coast with tope the main target species. Recent rough weather has clouded the water encouraging some species to feed hard with lower light levels. 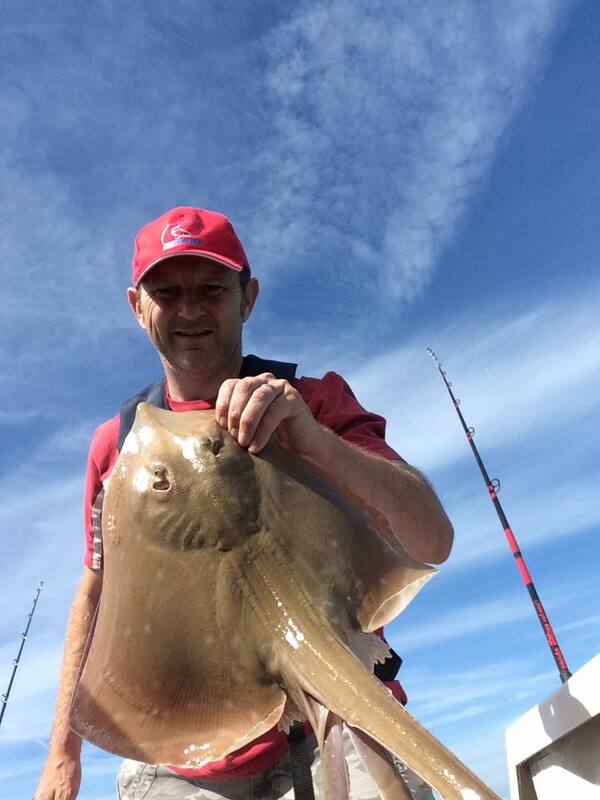 Stefan Jones headed to a mark off Woolacombe in his Private boat and enjoyed a great days sport landing nine small eyed ray between 5lb and 7lb plus smoothound and bull huss. The successful bait was Ammo sandeel wrapped in squid. 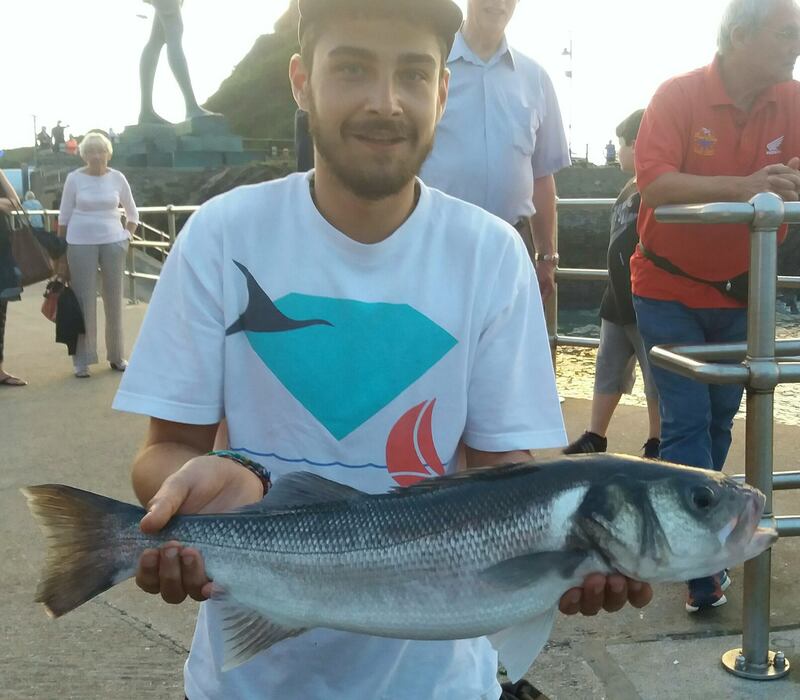 Ollie Passmore enjoyed a session on Ilfracombe Pier landing a fine bass of 7lb 1oz that was carefully returned to the water after a quick photo. The fish was tempted using a large mackerel bait. 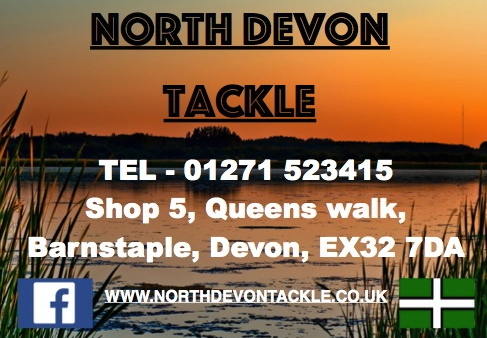 The water clarity is reduced along the coast now and as a result bait anglers are enjoying improved sport with mackerel squid or crab baits best. 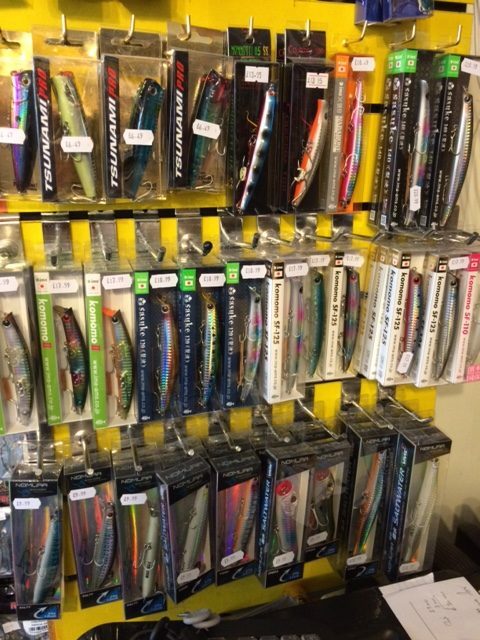 When the water clears lure anglers will start to catch again. 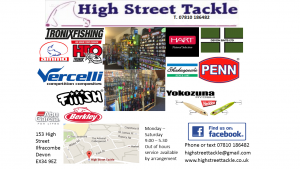 I visited High Street tackle recently and was impressed with their wide selection of bass lures both soft and hard plastics from top brands. 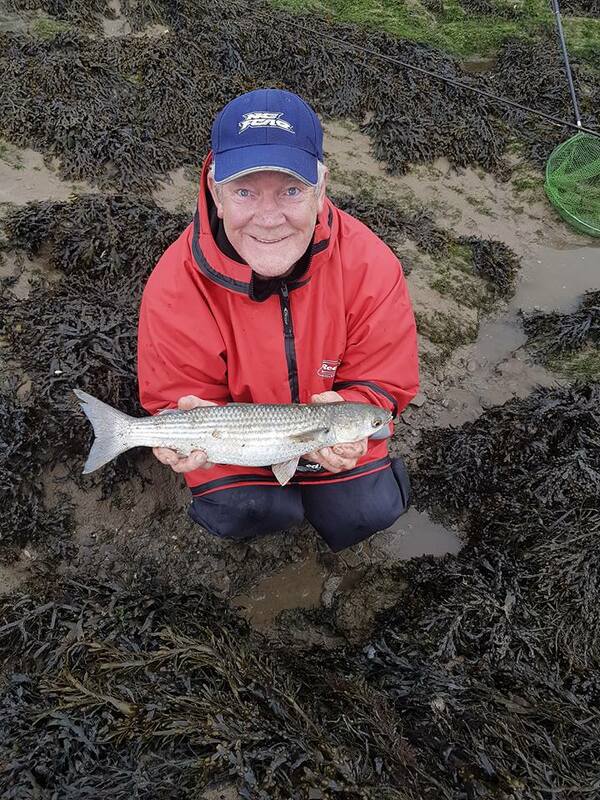 Thin Lipped mullet have been hard to find in the estuary over recent weeks but Combe Martin SAC member Graham Snow persisted and located a specimen thin lip of 3lb 9oz despite strong winds making fishing difficult. Boat anglers are enjoying some top tope sport off Ilfracombe with packs of these hard fighting fish hitting baits. The season is shaping up to be a good one for the species with mackerel numbers encouraging the fish into the Bristol Channel. 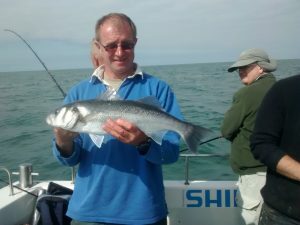 Toby Bassett was one of the anglers to share in great days sport aboard John Barbeary’s Ilfracombe based Charter boat ‘Bluefin”. The anglers landed in excess of 80 tope the best scaling 34lb to the rod of John Passmore. 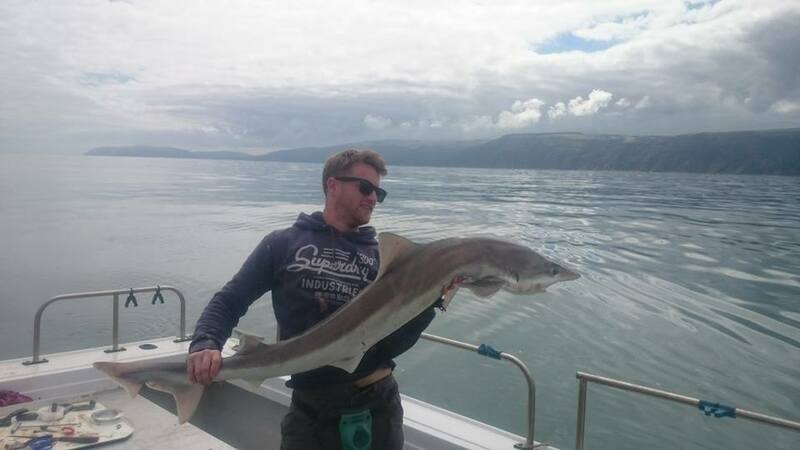 Daniel Stone fished aboard James Gubb-Fradgley’s boat off Lynmouth and landed a personal best tope scaling 36lb. 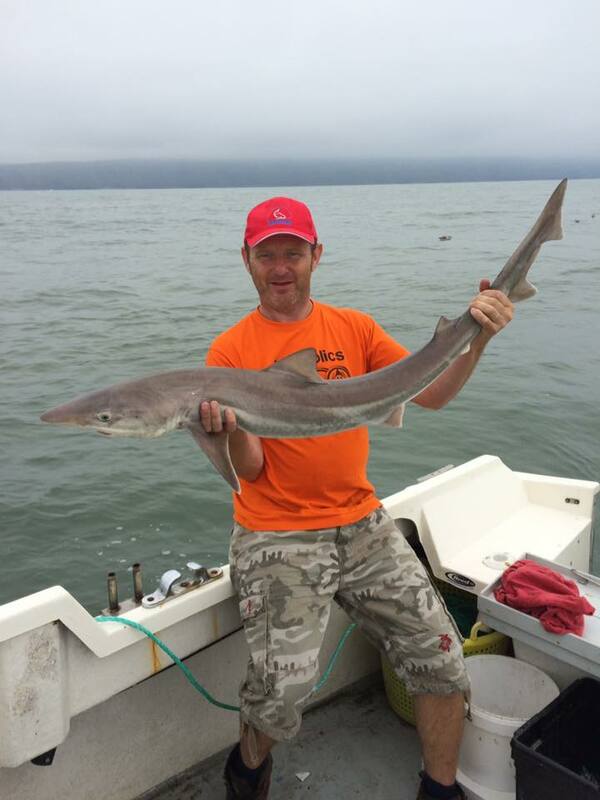 They also landed bull huss to 15lb, conger to 25lb, several smaller tope and numerous mackerel. 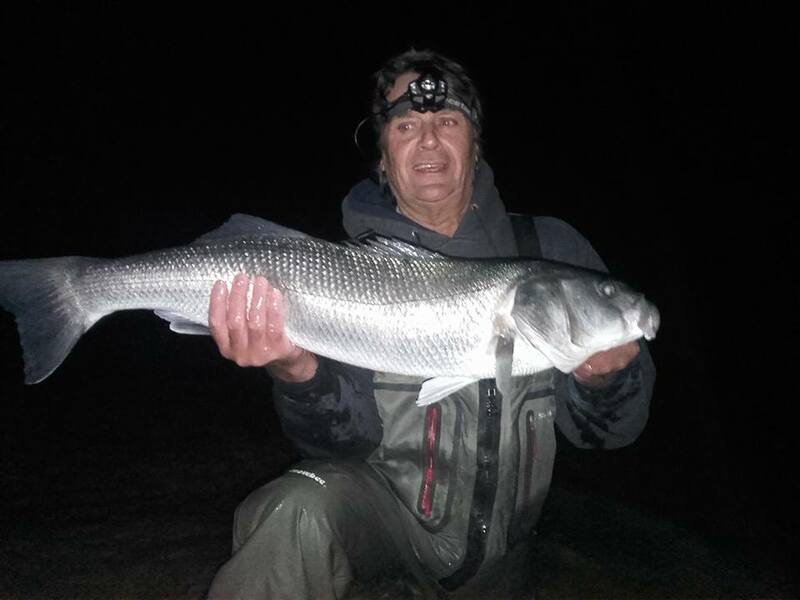 Combe Martin SAC Member Derek Ferret fished a local beach to land this superb bass scaling 13lb 3oz. The fish was tempted using Ammo Frozen mackerel and was returned alive after weighing and photographing. This is the third big double I have heard of so far this season a promising omen as we are still early in the season regarding bass with the best yet to come! I hope to have better pictures of this fine fish in a couple of days.